This portrait offers a lot of selfie-potential and it is really easy to achieve. Just watch out for a plain background and try to be "massive". This portrait after the famous official portrait by the German artist Hans Holbein the Younger shows us Henry VIII, King of England, in his late years and as he is remembered by posterity: as a mountain of a man. 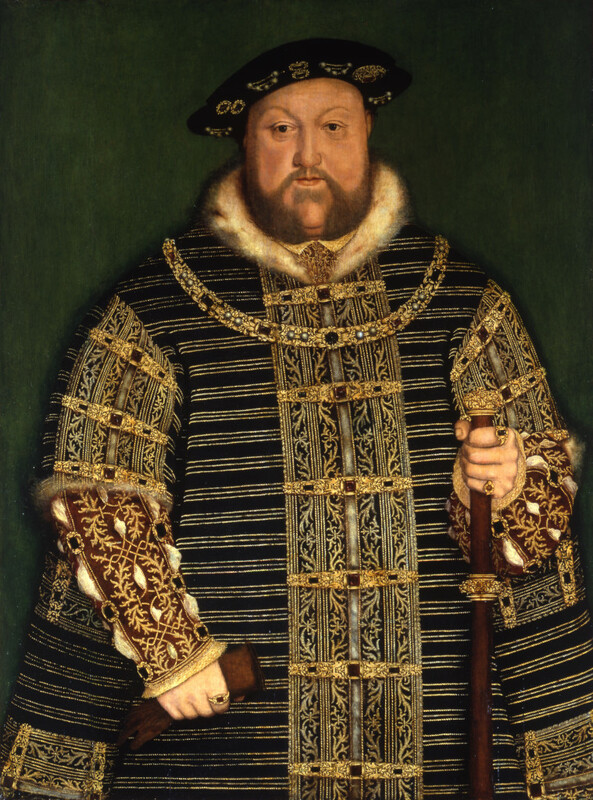 Besides his six marriages and the tragic fate of most of his wives, Henry VIII is widely known for his role in the separation of the Church of England from the Pope and the Roman Catholic Church. As a young man, though, he was the incarnation of the Renaissance ideal of the “Good Prince”: tall, handsome, athletic, a Prince Charming and womanizer, but also a romantic lover, a protector of the arts, a dedicated student, both pious and promoter of humanism. Unfortunately, that is not the way he is remembered. Later in life, Henry became obese and had to be moved about with the help of mechanical inventions. He was covered with painful, pus-filled boils and suffered from gout. His obesity and other medical problems can be traced from a jousting accident in 1536, in which he suffered a leg wound. The wound festered for the remainder of his life and became ulcerated, thus preventing him from maintaining the level of physical activity he had previously enjoyed. The jousting accident is believed to have caused Henry’s mood swings, which may have had a dramatic effect on his personality and temperament.